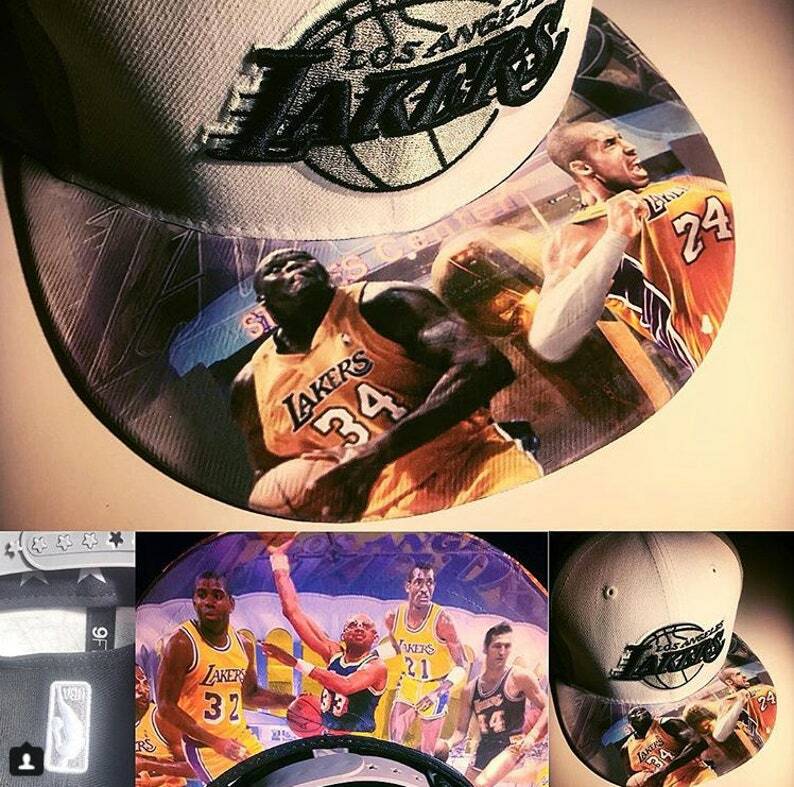 Custom Lakers Snapback with Legends on top and bottom of the brim. I love these hats! They take about a month to receive but Dave will stay in contact with you the entire time. It is worth the wait and money I will definitely order again soon.